Hi, if you've never used GWX Control Panel before, I recommend you head on over to the announcement page where you can get the current stable public release. The version described in this post has some experimental (and not fully documented) features specifically intended to help Win7/Win8 users who are still having Windows 10-related problems that previous versions of GWX Control Panel were unable to fix. NOTE: The beta test for version 1.4 is now complete, and (as of October 20, 2015) GWX Control Panel 1.4 has become the current official version which you can get from our downloads page. Updated documentation is now at the original announcement page. After a lot of testing and experimentation, I think I may have something to fix the "reschedule or upgrade now" problem and other lingering issues that my first few versions of GWX Control Panel weren't designed to cover. I need your help to confirm that it works, though, because I have not reliably been able to force my own test computers into some of the same states that some of you have reported. 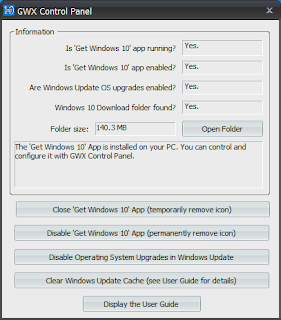 GWX Control Panel now casts a much wider net when searching for traces of unwanted Windows 10-related settings on your PC, and as a result the "Are Windows Update OS upgrades enabled" field is more likely to report Yes when you first run the program. Likewise, the Disable Operating System Upgrades in Windows Update feature is much more comprehensive in neutralizing those Windows 10 settings. Finally, there is a new Clear Windows Update Cache feature, which is kind of a nuclear option for dealing with Windows Update problems. What specific symptoms were you having before running the Beta version of GWX Control Panel? 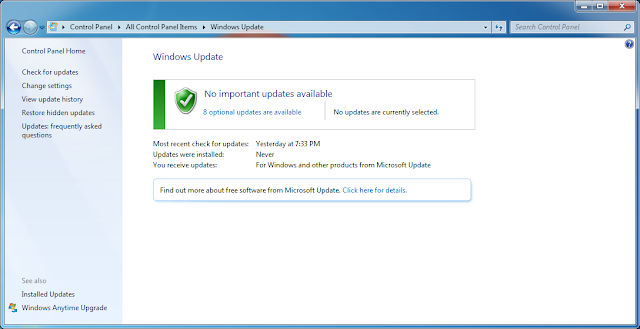 Did the updated Disable Operating System Upgrades in Windows Update feature fix your problem? If not, did the Clear Windows Update Cache feature fix your problem? Did either of the new features have any unexpected side-effects on your computer? Please post your answers in the comments if you decide to give the beta version a shot. For your safety and my peace of mind, please try to follow these steps as closely as possible. The final instructions/requirements won't be as detailed/exhaustive once I go public with this release. Download the beta version of GWX Control Panel here. NOTE: If the link doesn't work, it probably means the beta period has expired. In that case, check the announcement page to see if there is a new official release. Launch the new version of GWX Control Panel. Check the "Are Windows Update OS upgrades enabled?" field. If the field says "No": Skip to step 6 below. If you used the "Disable Operating System Upgrades" feature and restarted Windows in the previous step, please check now to see whether you are still having the Windows 10-related symptoms that prompted you to try out GWX Control Panel in the first place. If your problem appears to be fixed: Yay! Please let me know in the comments! If you are still experiencing the problem: Darn! Continue to the next step. 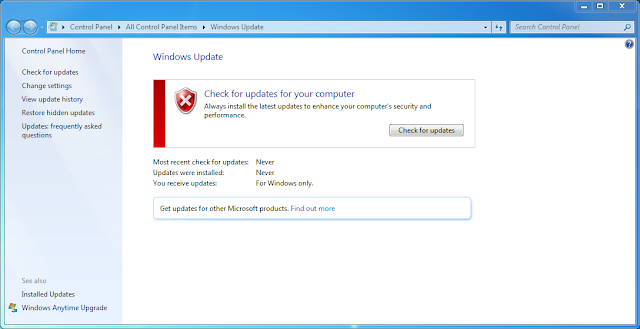 If a message box appears saying, "You might have some Windows Updates waiting for a system restart in order to complete": Please see step 7 to decide how to respond. If you don't see the message box: Proceed to step 8. If you already restarted Windows after using the "Disable Operating System Upgrades" feature in step 4: This warning is a false alarm. Just click Yes to proceed. If you have not yet restarted Windows since beginning this test: Click No, and then click Yes when the program asks if you'd like to restart Windows now. After Windows starts again, re-launch GWX Control Panel and use the Clear Windows Update Cache feature once more. If it STILL says you have updates waiting for a system restart, then this is actually a false alarm, and you can click Yes to proceed. Now check your system to see if the Windows 10-related problems you were having have been resolved. Does the problem appear to be fixed? Great! Please let me know what steps you took to get to this point. Are you still experiencing your original issues? Uh-oh! If people are still having the same problems after using these new features, I will probably need to collect some logs if I ever hope to truly fix this stuff. If it seems necessary, I will add a new feature to the beta version that can save important (but anonymous) system details to a text file that you can mail me. It might take me a few days to implement that feature. But I'll keep this post up-to-date until the tests are complete. Also, please try to answer all the questions from the "I need your feedback" section above; this will really help speed my way to a resolution. Are you experiencing new problems that you weren't having before? The answer is pretty much the same as above. Please answer the "I need your feedback" questions and hold tight for a future update with logging capabilities. Also, see the next section about Known Issues for tips. Thanks in advance for any info you can provide! Here's where I'll post my own observations and fixes, workarounds, as well as anything I learn from beta testers. While startling, the big X in Windows Update for Windows 7 is not cause for concern. 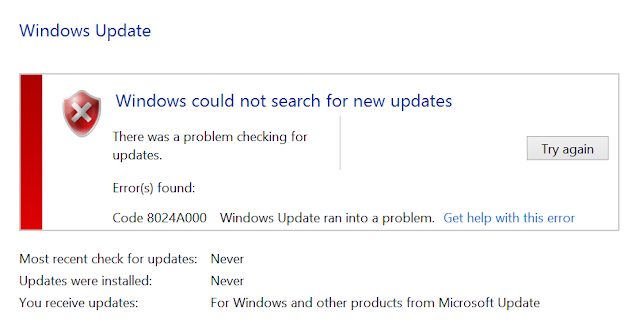 I've tested the new features on eight different computers so far, and on one Windows 8 system, I saw the following screen after clicking Check for updates for the first time after clearing the Windows Update cache. 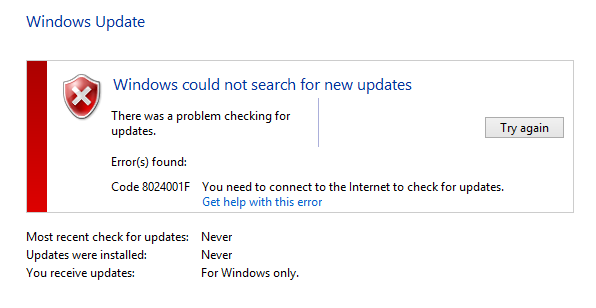 I experienced the "Windows could not search for new updates" problem on one test PC, but was quickly able to fix it. I resolved this problem by clearing the cache once more, restarting Windows, and then checking for updates again after all Windows services had started. I got an error code 8024001F after trying to check for updates when my network card was having problems. I don't know what that error code is supposed to indicate, but I think the real problem was that my laptop had lost its Wi-Fi connection. After I restarted Windows, the Wi-Fi connection returned and Windows Updates worked normally. Please tell me if you see similar behavior though! It might mean I should enforce a restart after clearing the update cache. Thank you very much for trying! Edit: I just noticed that in my start button i got that brown icon that means you have updates to do. But in my list of Updates installed it says "Canceled". Also (and sorry for all the questions), did you use both the "Disable Operating System Upgrades" and "Clear Windows Update Cache" buttons in the new version of the program? I will work in the coming days on adding some logging capability to the program that can capture some important settings, but for now any extra detail you're able to provide will help. Thanks! I did this a second time and i clicked " Disable operating system upgrades" & "Clear Windows update cache"
Restart my computer. I got the check for updates for your computer. 2 Checking for updates. Took a few mintes. Then i got download and install updates for your computer. 5. I got 5 Importand updates are available, & 1 optional update for Skyp. ( I hidden)that. Seen no windows upgrade to windows 10 Pro, I un checked the update for IE. So this time it worked i was able to get my updates installed. So i think maybe users shouldn't DO updates for IE? @Lucy - Wow, that is so weird. That's one of the problems I have been able to both reproduce and fix, and I don't have any guesses as to why you would keep experiencing it- especially if you used both the "Disable OS Upgrades" and the "Clear Windows Update Cache" features in the beta GWX Control Panel. I'm going to add a feature that will capture some settings that might give me a clue to what's going on there, but it will take a few days. @Lucy (again) - You were writing your last comment when I was writing mine. Hmm, there was an Internet Explorer update waiting for you? That is REALLY interesting. That gives me something else to look into. Thanks so much for your feedback- and fingers crossed the fix "sticks" this time! Did you get my comment I posted last evening? Worked for me without clearing cache. Not sure why the comment is not here now. Here is comment again. I had the same problem as Lucy, except that I never saw an upgrade to win 10 offered as an update within windows update. I would get a nag screen for win 10 when I opened windows updates. I had to click through to show all updates. When I selected some updates and tried to install, however, it took me back to the win 10 nag screen. After a few times, I think I pressed the button there because it was the only choice. When it said it was downloading Win 10 setup files, I canceled. That may have been what got me stuck. The earlier version of GWX Control Panel restored my windows update icon in the tray (missing for about 2 months). It also got rid of the win 10 nag screen with windows updates. However, every time I selected any updates to install, it started downloading win 10 setup files again. There was no win 10 item among the updates to check as Lucy had, and no other indication or warning that would happen. It just happened. I ran the new GWX Control Panel. 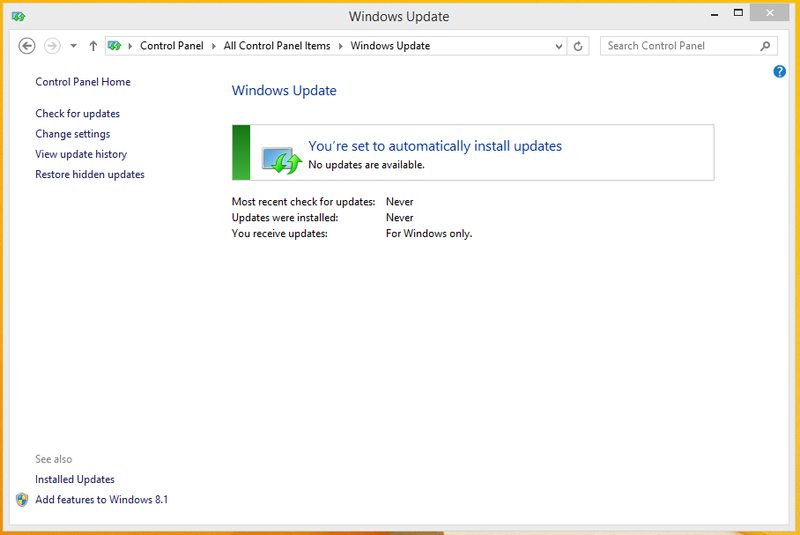 This time it said yes to the question about OS updates enabled in Windows update. I checked to disable OS upgrades. I was asked to reboot, and did. 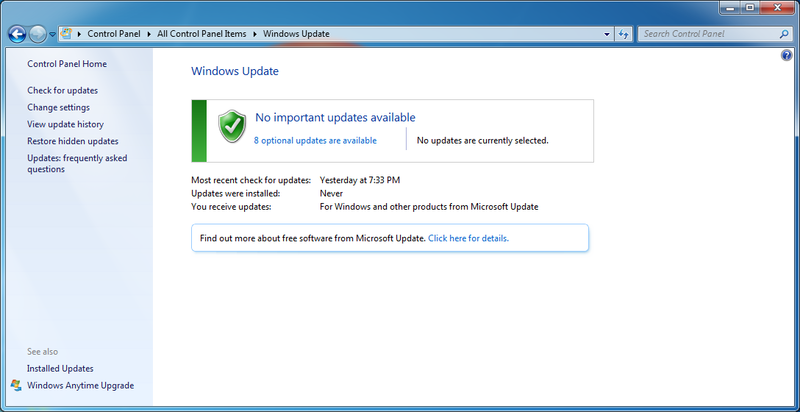 Now when I went to windows updates (still no win 10 upgrade listed) I was able to select 4 updates and it then installed them normally. I followed as it noted installing each of the updates. So everything seems to be working fine. I never tried the clear windows update cache option. I just had one minor temporary issue. When my computer rebooted after disabling OS upgrades, I got an error that the server part of my APC UPS software could not be started. I think I got this when I ran the earlier version of GWX CP, also. However, this was fine the next time I rebooted. Again, many thanks. This will be a life saver for many. Yes, It is very interesting That it worked this time. ( I sure hope it sticks to). Yes i was given an Internet Explorer update. I Just un checked it. I use fire Fox anyways. And it didn't show show Windows 10 upgrade. So that is why i was thinking that. Could that be the reason it didn't show up. I never got that Win 10 Nag screen on My Desk Top. I still have the GWX Win 10 Icon in my task bar tho. @Lucy - Are you saying the "Disable 'Get Windows 10' App" feature didn't remove the GWX icon? Clicking that button should immediately and permanently make it disappear. (You will probably have to re-disable it after performing some Windows Updates, though, because Microsoft pushed some things that clobber old settings- not just the ones my program touches.) But if you're using that feature and it's not making the icon disappear I'd like to know. @Mark - Yeah it was really odd. Blogger emailed me your initial comment, but I guess they never actually added it to the post. I've never seen that happen before. Thanks to both of you! Yes! The "Disable 'Get Windows 10' App" Didn't remove my GWX icon. It's still showing up. Not sure why. It didn't go away with the other GWX control Panel either. Lucy, You should apply updates to Internet Explorer even if you use Firefox. I also use Firefox. However, IE is integrated into many functions, so you want it to be updated at all times. @ Mark Ok. Yes I know I will try too. If My updates will run normal again!! I opened up the GWX Panel & Restarted my Computer. Then i went and checked my Windows updates. I was able to update the IE update. 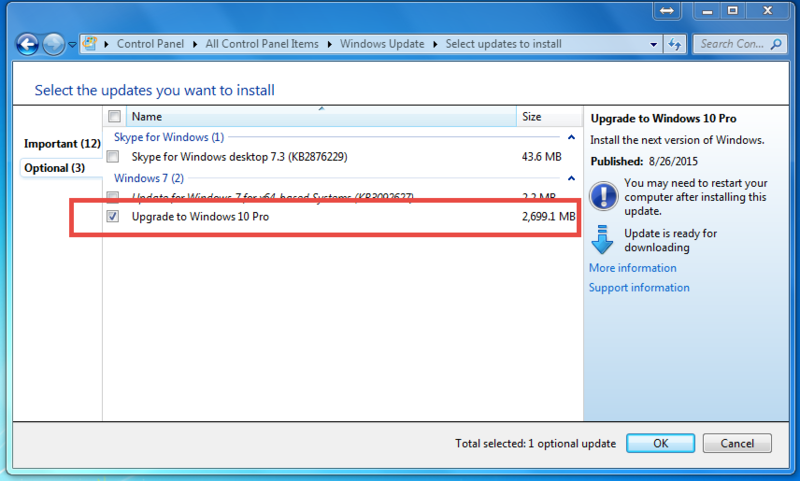 No Windows 10 Upgrade Pro 10 came up again. * Yay* So i could do updates normal. So now I'M finally up to date with my Window updates. So i think this thing really works. The GW Get windows 10 is still in my task bar tho. Thank you for the help. Lucy, When you open GWX Control Panel, do all the questions at the top say "no"? If either of the first two about Win 10 app say yes, than select the first option to disable Win 10 app. The icon should go away. Mark, Yes at the top they say No. But yet i still see it. Lucy, so far you are the only person I've encountered who's experienced this- and it's certainly not something I've been able to reproduce. I'm really stumped at the moment, but will see if I can figure out what's going on later in the week. Glad your updates are working at least! Thank you. I'M glad the updates worked to. I just hope they keep working. I'll keep checking back on your blog for news. This solved my problem. I was able to run and install my updates normal. The Windows 10 Pro upgrade didn’t show up in my updates. . The second time i tried it. This Beta (1.4) appears to have solved my problems My updates have now loaded and installed without any interference from Windows 10!! 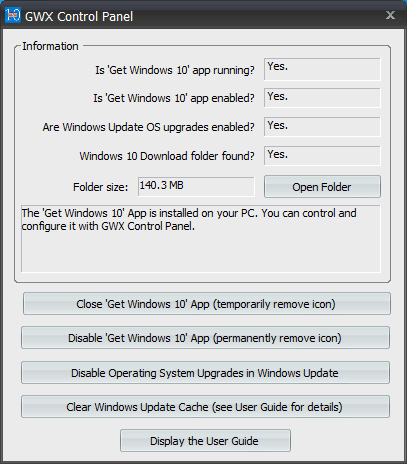 I had to disable the 'OS upgrade option' which I had previously done in version 1.3 where it hadn't worked. @peterb - Good to hear; thanks! The Beta worked. here's my feedback. 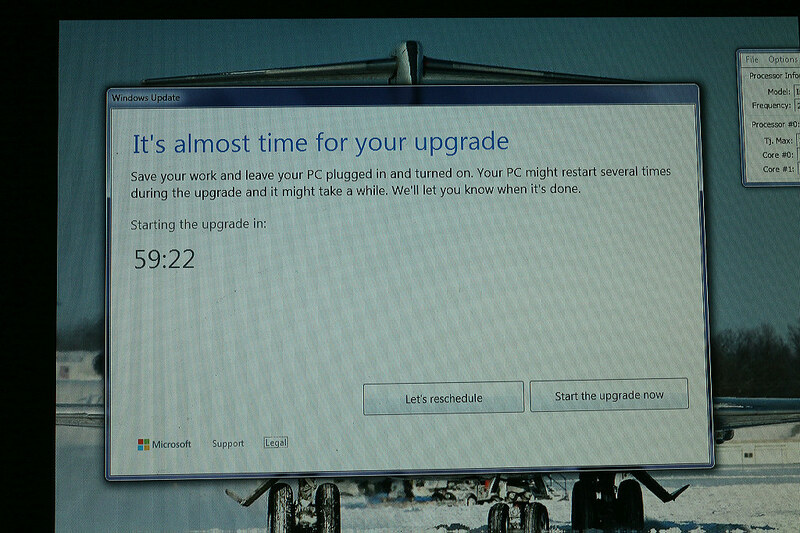 "Your Upgrade to W10 is ready" in Windows Update & "It's almost time for your upgrade" with countdown pop-up. All I could do was keep rescheduling. Sure looks like it. Windows Update is back to normal. Can't find any traces of W10. If the dreaded count-down pop-up does not appear in the next 72h we're home free. Will confirm this later. Thanks Josh. Donation on the way. Jeroen D.
@Jeroen - I'm excited to hear this. Hoping the upgrade dialog box doesn't return! Let me know what happens! Thank you so much for your excellent little program. I have to admit that I am one of the lucky ones. Even though the idea of getting the brand new Windows 10 OS for free was very enticing, I do love my Windows 7 Home. And I'd decided long ago not to upgrade. I also changed my update download settings to "Check for updates but let me choose whether to download and install them". So I have managed to avoid any major problems associated with the upgrade. However, when I suddenly started getting the very annoying GWX icon every time I turned my laptop on, when I thought I had done everything to avoid this type of nuisance, I became not only very annoyed, but also very paranoid & hyper-vigilant about what updates I was having downloaded. Like a number of other people, I've now become obsessive about researching any & all of the downloads, waiting for any signs of problems showing up in online forums, and then hiding the ones that are the least bit Windows 10 related. Then I ran across your program, downloaded it, and found out within seconds if I had unknowingly downloaded any of the offending files(which I didn't, thank the fates! ), and with a couple of clicks, the GWX icon had permanently vanished, and I now feel, at least for the time being, that I have control again of my computer. So thanks again. I did make a donation. The help you're providing people out of the goodness of your heart is very special and greatly appreciated. I noticed the Get windows 10 Icon isn't in my Taskbar anymore. Maybe running the GWX Panel Helped get rid of it. Thank you Very much! I just downloaded the updated GWX Control stopper. On my computer & my dads. It removed the Windows 10 folder. Took the GET windows 10 Icon out of my dads Task bar!!! Great to hear, Lucy, thanks! Josh... The "Delete Windows 10 Download Folders" option refuses to completely remove everything. I watched the progress bar go from 6.4 gig all the way down to 1.3KB and then it stopped. I thought maybe a restart was in order to finish up but that didn't help and the folder (along with numerous sub-folders) is still there. I've ran the program again several times but it won't remove the folders. Any suggestions? Win7 Home Premium(x32) on a Dell Vostro Desktop. Josh... I've used your program on numerous systems and it's always worked flawlessly until this one. A fyi for your info-bank, nothing was previously attempted on this system. The Diagnostic Tracking Service was stopped & disabled first and the two Scheduled Tasks were disabled under Application Experience followed by a restart before running the Control Panel. What strikes me as odd is I'm able to rename the folder but not delete it. I'd think the same authorities would be required for either but apparently not. The total size is 1.3kb and it's been renamed, so I'm hoping it won't cause any further issues. Running the Control Panel after renaming it shows it's not present. If anything changes I will use the Disk Cleanup feature which I've used before you made this option available. Thank you so VERY much for sharing this invaluable tool! I may have been one of the first to "donate" only a few hours after I used your first release. I had just spent several hours "detoxing" a system when I read about this tool at Woody's site. You're second on my list of internet heroes, Woody has occupied first place on my list for many years but you're running an awful tight number two with all this Win-X crap! Keep up the great work Sir, I have a feeling Microsuck will be putting your skills to the test again soon! "As an update, in early October Microsoft issued a patch to the Windows Update system which reset some settings GWX Control Panel looks for, related to OS upgrades." Are these updates kb3083711 and kb3083710? If not, what are they if you don't mind saying? The reason I ask is that I use a programmatic tool to remove W10 nagware/crapware/spyware from W7 and W8 systems, and I'd like to add the two updates you mention that secretly tamper with AllowOSUpgrade and/or related registry settings. In addition, the only way I've found to keep certain ones of these from coming back automatically for the average PC user is to simply disable updates all together. @Unknown - Yes, I believe those are the ones; they were actual Windows Update updates. A pug on the Internet.